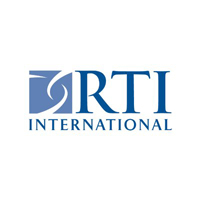 RTI's International Education Division is supporting education development around the world by strengthening education policy, management and practice in order to achieve measurable improvement in teaching and learning. From our well-established reputation in education system strengthening, to innovative work in early grade assessment and learning, RTI is improving education quality, relevance and efficiency through implementation of projects funded by USAID, DFID, Australian Aid and other donors and clients. The International Education Division is currently accepting applications for a Senior Technical Advisor position to support the USAID-funded Tusome Pamoja project to improve early grade reading in Tanzania. This is a full-time position with residency in Tanzania. The Senior Technical Advisor will provide leadership, management, and technical assistance for Result Areas 2 and 3 of the project, with specific emphasis on (i) delivering and outstanding deliverables and (ii) developing a plan for learning and feedback form activity implementation. Review activities designed to improve the learning environment and assess the relative impact on pupil attendance and pupil learning. Master’s Degree in education, social work, communication or a relevant field. At least 9 years of experience in technical direction for improved educational outcomes. Knowledge of current implementing partners and development partners working in Tanzania preferred. Prior experience with the development of early grade reading, education systems strengthening and national and district-level service delivery preferred. Proficiency in Swahili is preferred, but not required.